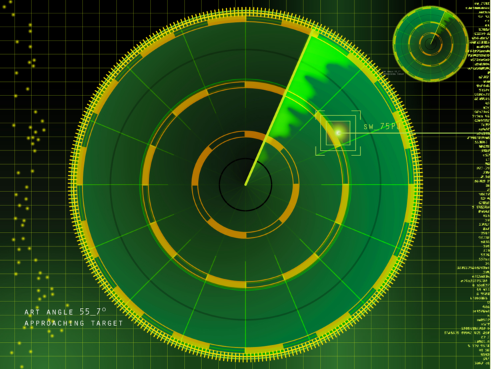 Sonar kit, build your own submarine hunter..
Sonar has always been a fascinating subject, the green dash board and flickering dots representing enemy planes and submarines has never stopped fascinating the hobbyist. You can have this kit mounted on your RC car, hobbyist Mars Rover or even the corner of your room to see every moving object. The kit will give you an insight of how sound can be used to see, just like a bat and dolphin does.How the speed of sound and the time it takes to travel is translated into a visual image for the user to see on his dashboard. This kit gets a close to the feel of how the submarine operator saw moving enemy targets and saw objects far beyond their eyes could see. The kit comes with all the hardware needed to get it completely going and a 3 step tutorial which walks you through the process of setting it up. Once the kit is setup, you are free to experiment with the source code and come up with your own cool hacks.